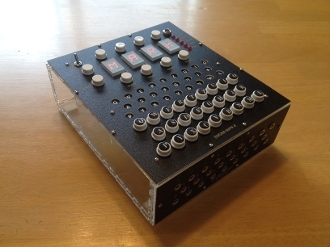 This Open Source Enigma Replica product is exactly like our Plugged kit, but we have taken the time to solder, assemble, program & test it ourselves. It includes everything that comes in a plugged kit (listed below), but all components are already in place & tested. This provides full plugboard functionality. Essentially, it is like our boxed Enigma without the wood box & the hardware that goes with the box.